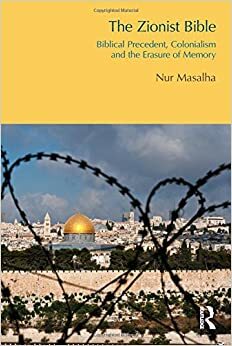 The Zionist Bible: Biblical Precedent, Colonialism and the Erasure of Memory, by Nur Masalha. Durham, U.K.: Acumen, 2013. New York: Routledge, 2014. vii + 253 pages. Notes to p. 260. Bibliography to p. 286. Index to p. 295. $99.95 cloth, $99.95 e-book.